So simple, yet so overwhelmingly powerful. But is it true for you? But how would it change your day if scattered throughout, you just stopped and thought about God’s love? God’s grace? God’s mercy? God’s awesomeness? God’s power? 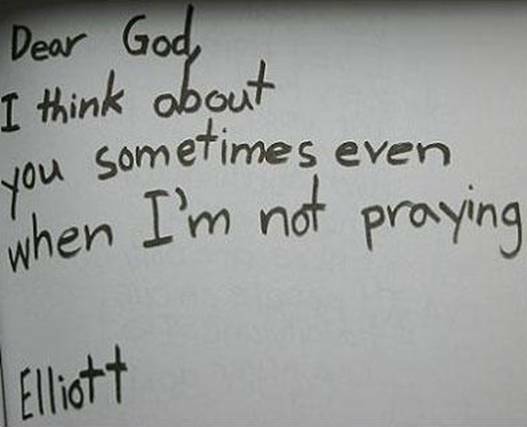 There’s a difference between thinking about God and praying to God. I think about my wife and my daughter often, but I’m not speaking to them. I think about them because I love them so much, and they occupy my thoughts throughout the day. Does God have that same impact on you? Read this verse – and think about God. Its at this point in every year that many blog posts are written about New Year’s resolutions. People want to lose weight, pack on muscle, make more money, save more money, learn a new skill…the list goes on and on. And every year, people continually blow it. They don’t follow through on their resolutions. I’m not really sure why, but it happens. Weakness, willpower, control – all reasons these resolutions aren’t fulfilled. Last year, I didn’t make any resolutions, so it was very easy for me to say on December 31 that I finally achieved exactly what I resolved to do. But regardless of whether or not you made a 2012 resolution a year ago, and looking past the idea of whether you achieved your goal or not – let’s look at something else. Simply – did you have any regrets this past year? Did you start a 3 month diet plan, and give up after 2 weeks, and then when 3 months had passed by, wonder what could have been if you had just stuck with it? Or maybe, it wasn’t even something you set out to do, maybe it was just something you didn’t do. Do you regret wasting away 2 or 3 hours 5 or 6 nights a week watching television instead of reading? Or playing with your kids? Or spending quality time with your spouse? Do you regret not going to church more often? Do you regret not tackling that home improvement project? Do you regret not making that investment? There are things I regret not doing this past year, and my real goal in 2013 is to not end the year in regrets. When you have an itch, scratch it. When you have a passion to do something, do it. If there’s a book you want to read, read it. If there’s a project that needs doing, do it. 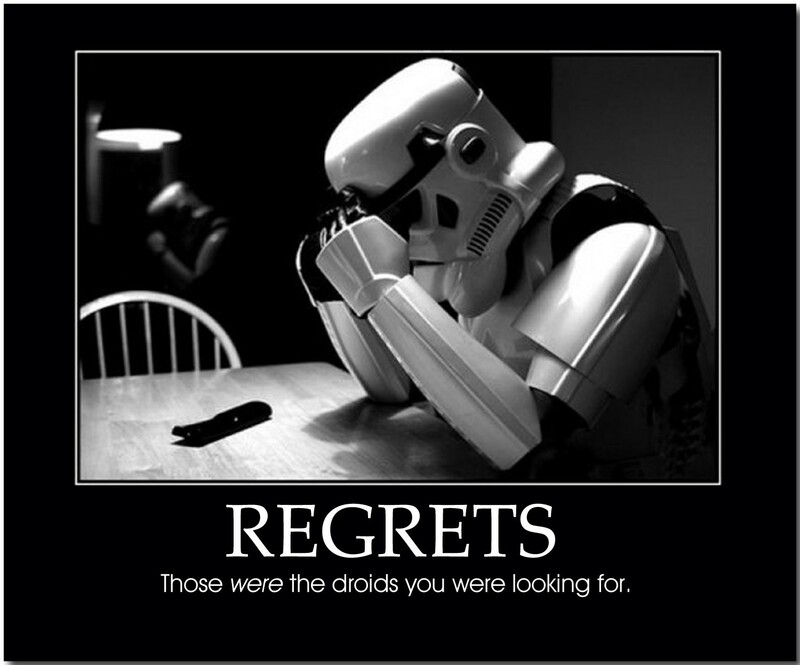 Don’t make 2013 a year of regrets. Last week, we heard of a tremendous act of both courage and responsibility in a woman by the name of Stephanie Decker. As tornadoes whipped through her Marysville, Indiana home, she did the only thing she knew how to do – protect her children at all costs. When she saw that things were getting rough, she took her kids into the basement, wrapped them up in a blanket, and help on tight by placing her body over them. She had one leg that was nearly severed and another that was crushed. At one point, she saw a brick coming at her daughter, so she maneuvered her back in a dodging motion so she would take the hit and not her children. They emerged with their lives, but she was severely injured. She lost one leg over the knee and one just above the ankle. She had seven broken ribs and also suffered a punctured lung. The children, they were absolutely fine. Not a scratch on them. This woman did what I would hope any mother or father would do in this situation. Protect those who can’t protect themselves. Do whatever you can to spare them from physical harm. Don’t let the weather and the elements affect them in any way. That’s what most of us would do. What’s interesting is that we face storms and trials like this every day, but not nearly as many parents defend against them. Satan is constantly attacking our families. Satan is always throwing storms our way, shooting darts toward us daily. We would do just about anything to protect our families and friends from physical harm, but what about spiritual harm? Just like you would run into the road to knock your child out of the way of an oncoming vehicle, we must be prepared to do the same thing against Satan every day. Why is it we’re so eager to protect against the physical problems and challenges in life, but we’re not nearly as willing, or even aware, of the dangers we face daily from the evil one. Pray for your family and friends. 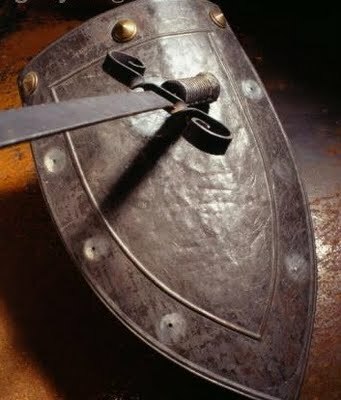 Pray that God will shield them from Satan and his attacks. Pray that God will be victories and Satan will be defeated in all things. May we have the courage, like Stephanie Decker, to wrap our friends and family up tight in prayer and devotion. May we step in front of the darts that Satan throws our way to protect them. May God be praised in all we do. – What is your influence on others? Whose life have you genuinely touched and changed for the better in recent years? – What is your direction and purpose? If you continue to work of the next ten years as you are currently working, what will you have gained? What will your life look like on its current path in ten years? – Are you honoring God? Can you cite three things that you have done in the last year that you believe have clearly brought glory to God? What are some ways in which you have honored Him at work, in your home, and in your community? – Are you avoiding evil? What one thing have said “no” to in the past year in order to “remove your foot from evil” (Proverbs 4:27)? What did it cost you? What did you gain? – What is your testimony? What one characteristic would you say clearly distinguishes you from non-Christians in your workplace, school, neighborhood, etc.? As I think back on the year we have just finished, I can’t help be be ever so thankful to God for what He has blessed me and my family with. Our God is an amazing God, and there is truly none like Him. Even though God is not confined by space and time, we here on earth are bound by its limitations. The start of the New Year is probably not that big of a deal to God. For various reasons, however, we as humans are infatuated by the end of a year and the beginning of a new one. For many of us, it gives us a chance to put something behind us. For some, its a time to make resolutions for the new year. While thinking of how I want to start my 2012, my mind goes to Colossians 1:9-14. For this reason, since the day we heard about you, we have not stopped praying for you and asking God to fill you with knowledge of his will through all spiritual wisdom and understanding. And we pray this in order that you may life a life worthy of the Lord and may please him in ever way: bearing fruit in every good work, growing in the knowledge of God, being strengthened with all peer according to his glorious might so that you may have great endurance and patience, and joyfully giving thanks to the Father, who has qualified you to share in the inheritance of the saints in the kingdom of light. For he has rescued us from the dominion of darkness and brought us into the kingdom of the Son he loves, in whom we have redemption, the forgiveness of sins. 1. What would our lives look like if in the past we had taken time to pray this prayer for ourselves and each other? 2. 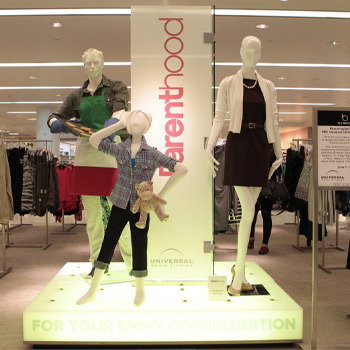 What could our 2012 look like if we do the same? When was the last time you prayed for God to fill you with the knowledge of His will? Not just a tiny bit, but filled! Wouldn’t you love to be filled with the practical knowledge of God’s will? Wouldn’t you love to understand even more what God has in store for you in your life? Instead of guessing, why not pray that his will be revealed in your life? In verse 10, Paul prays that the Colossians will also bear fruit in every good work. Not just one good work, but in every good work, so God will be glorified! Are you being fruitful? Are you willing to pray for God to help you bear more fruit for Him in 2012? He also prays they will grow in their knowledge of God. Think of the impact you can have on your life and others if you pray to grow in the knowledge of God, and pray the same for others! How will you daily increase in your knowledge of God this year? Finally, Paul prays they will be strengthened with all power so we can have endurance and patience. There is a power to experience, a glorious wondrous power to experience, if allow God to do so. Remember, Philippians 4:13? I can do ALL things through Christ. He also prays for their patience. Were you lacking in patience in 2011? Maybe its time to step up and pray for more of it. I know I need it. Patience is so hard to have, that maybe it would serve us well to pray for more of it! God, will you bless us in 2012? May you help us to desire to be filled with your will. May we be filled with your wisdom and spiritual understanding. In 2012, may we walk in a way that is worthy of wearing your name. May we bear good fruit this year. May we grow in our knowledge of you. Will you please give us the endurance we need to make it through this year? We know there will be constant attacks from the evil one. Will you give us patience with each other, with the world, with everyone we come in contact with? Bless us in these ways, so we can share in your inheritance! -American military for protecting me for so many decades through WWI and II, the Korean War, the Vietnam War, Desert Storm and more. -God’s sustaining power throughout the problems of life. -For children who decided to take me in and take care of me, and for God helping me realize that I needed -someone to be responsible for me in my older years. Psalm 100 starts out by saying “Shout for joy to the Lord,” and I believe this starts with thankfulness. I envision this being a shout of joy to the Lord that comes from the very depths of your being. Maybe He has given you the direction to go. Maybe He has provided a blessing, and you realize that it has come from God. So from the depths of your being you proclaim your praise. The teaching methods of a new English teacher, John Keating (played by Robin Williams) are unorthodox by the standards of Welton Academy. He tells the students to call him “O Captain! My Captain” in reference to a poem by Walt Whitman. In one part of the movie, Keating has asked his students to write a poem. One student named Todd who is very timid and does not fully appreciate the radical nature of Mr. Keating, does not write a poem. The students are reading their poems outloud. Keating approaches Todd’s desk. and says “Mr. Anderson, I see you sitting there in agony. Come on, Todd, step up. Let’s put you out of your misery. Todd says: I, I didn’t do it, I didn’t write a poem. Mr Keating responds by saying: Mr. Anderson thinks that everything inside of him is worthless and embarrassing. Isn’t that right, Todd? Isn’t that your worst fear? Well, I think you’re wrong. I think you have something inside of you that is worth a great deal. Keating walks up to the blackboard and begins to write. “I sound my barbaric yawp over the rooftops of the world.” W. W. Uncle Walt again. Now, for those of you who don’t know, a yawp is a loud cry or yell. Now, Todd, I would like you to give us a demonstration of a barbaric “yawp.” Come on. You can’t yawp sitting down. Let’s go. Come on. Up. Todd reluctantly stands and follows Keating to the front. Todd and Mr. Keating then go round and round. Mr Keating tries to get Todd to let out his barbaric Yawp, but Todd keeps mumbling, not getting into it. Mr. Keating starts to frustrate Todd, and finally Todd screams out YAWP!! Mr. Keating looks at him and says “There it is. You see, you have a barbarian in you after all. I think of this dialogue every time I read this verse – Shout for joy to the LORD! What the Lord has done for us deserves a Shout for Joy! And that is what the Psalmist is saying. “Suddenly you realize that God has been so good to you that you can’t keep it inside any more. From the depths of your being you shout your joy unto the Lord.” You let out your YAWP of praise. So go ahead, shout for joy to the Lord! Model Christianity or True Christianity? Today, our house went on the market. We have lived in this house since April of 2009. It has been a great home to us. Josie learned how to do so many things here. We’ll forever have memories of our lives on Coopers Post Lane. The great thing about our home – its been lived in and loved. When you walked into our house, you would see photos of family and friends, you would see Josie’s toys on the floor, you would see Christian verses on the wall, and you would smell something cooking in the oven. So imagine if you would, how hard it has been the past few days getting ready to sell the home. Since we have a bit of a time crunch on our hands, we decided to pay a little extra money and stage the home. This is a common tactic and works very well. Our realtor says she has much better results when a client will stage their home. She recommended a lady, we hired her, and she came on Saturday to “stage” our home. When she walked in the door, she was full of life, and told us in the most cheerful way “After I’m done today, you’ll hate me, but your home will sell if you let me do my job”…and it began. She started taking pictures off the wall, moving things around, telling us that our home didn’t look like a “model” home. She said buyers want to see it as a model home, not as a home that’s lived in. That’s a challenge, because until we move, we still have to live there! Our home now looks similar, but different than it has the past few years. Josie can’t have toys out, I had to move my La-Z-Boy Recliner to the hall, we have to have place settings out all the time on the table so it looks like we’re always ready to have dinner, all in all…things are just not who we really are, but I have to tell you, it looks good. When the photographer came to take the photos, I couldn’t believe it was our house. The problem is that is not how we live. Its a burden to always have everything looking “phony but real”. For someone looking to buy a home, they will walk in and think it looks wonderful. For someone living there, we sit there and think “this looks silly…no one would live like this”, and that’s the point. No one would live like that, but the way it has been staged is set up to feature the best parts of our home and draw your eyes to those features. I stop and think about how this works in our lives. I try my hardest not to hide anything about who I am. I am not perfect by any means, and if I tried to make people think I was perfect, that would take a lot more effort than its worthy. How tiring would it be to always have to pretend to be someone you’re really not? Its so much easier just to live your life truthfully to everyone, so they can always know who they get when they see you. Don’t be one way in front of your church family, and a different way in front of your work family. Eventually, the two sides may meet, and one of them is going to see your “fake” side. Wouldn’t it just be easier to be true to yourself and to them all the time? I don’t want people to see me and think, “I wonder if he’s being genuine, or if he’s just being that way to make me think he’s a Christian”. True Christianity can’t be taken off. It can’t be hidden, and it can’t be taken away. Its who you are. Its not a model home to show off, and once the people looking are gone you get back to living your normal life. Its a 24/7 life that God has called us to live. So which are you living? A life of Model Christianity or True Christianity? On Sunday, my sermon was on Matthew 6:9-13, which many people call “The Lord’s Prayer”. After reading it and looking at the context, it might be better described as “The Disciple’s Prayer”, for this is an example of how we should pray. If you’re like me, I struggle with my prayer life. When do I need to pray? How long do I pray? What do I say when I pray (in the verses right before the Disciple’s Prayer, Jesus says “The Father already knows exactly what you need before you ask Him!!”. There are 6 petitions made in this prayer. 1. Our Father in Heaven, Hallowed be Your Name: We need to treat God with highest honors, and set Him apart as Holy. We must show adoration for God. The word used for Father is the word “Abba”, which was the everyday language used by Jesus. It was the word used by Jewish children when they spoke to their fathers, but it was also the same word adults used when addressing their fathers. In a sense, it means “daddy”, but in another way it conveys authority, warmth, and intimacy of a loving father’s care. We are invited to share in the intimacy that God the Father had with God the Son, and that’s really cool. This also addresses where God is located, in Heaven. That’s what sets him apart from your earthly Father. He has sovereign rule over all things. It also reminds us that He is holy, sanctified, and set apart. We need to begin our prayers acknowledging who He is and what He is. 2. The second petition is “Your Kingdom Come”. Christians are called to pray and work for the continual advance of God’s kingdom. It refers to the reign of Christ in the hearts and lives of not only believers, but in his body, which is the church. We must increasingly reflect his love, obey his laws, honor him, do good and proclaim good news. 3. The third petition is “Your Will be done on earth as it is in heaven”. This probably refers to God’s revealed will, which involves conduct that is pleasing to him as revealed in Scripture. Psalm 40:8 says “I desire todo your will, your law is within my heart”. We must desire to act in accordance to his will by obeying his commands. The first three petitions are giving us the priorities in prayer, so we are less likely to pray selfishly or frivolously. The next three are more personal. 4. The fourth petition is “Give us this day our daily bread”. This first of the personal petitions reminds us of our needs, and that we get those needs from God. By implication, this does not just refer to bread, but all our physical needs that we require. 5. The fifth petition is “Forgive us our debts as we forgive our debtors”. The word debt here is interchangeable with the word sin. When we sin, we create an obligation to God that can never repay. 6. The sixth petition is “Lead us not into temptation and deliver us from evil”. Since God does not tempt us (James 1:13), this implies that we are to pray for relief from testing. Trials and hardships will come to all believers. James 1:2-4 tells us that believers should count it all joy when trials come for we will be strengthened by them. We also must be aware there is a spiritual battle going on every day in our lives. Satan does his best to win us over, and we must remember to ask God for protection from Satan. Jesus ends with reminding us to forgive others as we have been forgiven. We must always remember there is direct relationship between having been forgiven by God and the forgiveness that we extend others. So, pray to God, remembering to acknowledge who and what He is, and then and only then take your requests before Him. May we all do a better job in communicating with our God! I have to preface this post. I have never been a big fan of U2, not because I have anything against them, but because I’ve just never gotten into their music. However, I do know that Bono is probably one of the kindest, most compassionate men that is walking the face of the earth in this present day. NASHVILLE, Tenn. — A blind man from Arizona had a lifelong dream come true when he was invited by Bono to jam with Irish rock band U2 on stage, myFOXphoenix.com reported Tuesday. Adam Bevell, who started losing his sight at the age of 14, caught Bono’s attention at a U2 concert in Nashville over the long weekend. Towards the close of the show, the band’s frontman spotted Bevell holding a sign declaring “blind guitar player,” indicating that the fan wanted to play and dedicate a song to his wife. “[Bono] said ‘C’mon up here. Get this dude a guitar,’ and I thought no way man, there’s no way this is happening,” Bevell recalled. “Dude’s gonna play some guitar,” Bono told the crowd. “It was the greatest feeling knowing that I was playing with the greatest rock star in the world but he didn’t make me feel like that at all, he made me feel like we were in our living room,” Bevell said, adding that playing with U2 was something he had on his bucket list. Bono is known for his generosity and humanitarian work around the world and he did not disappoint in this case — he let Bevell keep the guitar. Bevell, who lives in Phoenix, Arizona, has been to at least 20 U2 concerts over the years. This guy was given a gift at the end of this wonderful ride of a lifetime that no one else can say they’ve ever received, and that’s pretty cool. I’d be remiss if I didn’t take an opportunity here to make a correlation between this and a similar gift that I’ve received. The greatest and most compassionate man to EVER walk on the face of the earth gave me an even better gift. Jesus Christ, the perfect, sinless Savior, gave me a few things – his life, his heart, and salvation for an eternity – and I think that trumps the guitar. The cool thing about the gift that Jesus gave me is that its not just for me, but its for us all. 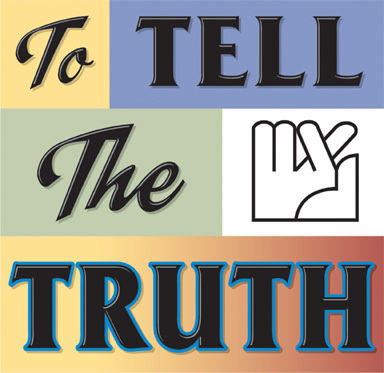 Jesus commands us to be truthful. In Matthew 5:37, he says to let our yes be yes and our no be no. In the preceding verses, he has told the Pharisees to stop their complex system of swearing and making oaths, because they were time and time again finding loopholes to get out of them. For example, if you swore by Jerusalem, it was not binding, but if you swore towards Jerusalem, it was not binding. This was not based on any law God had made, but again, it was a loophole they had created for themselves to get out of keeping their word. They had a whole system that allowed and rewarded dishonesty. We do this time and time again. We say that we’ll pray for someone, and we never intend on doing it. We say we’ll be there for a person, but when push comes to shove, other things are more important. We do what we can to sell ourselves as true Christians, but when faced with actually doing it, we get out of it by creating our own loophole. Jesus is encouraging us at this point to live a life that we would not be ashamed of in any way, especially in our speech. Live a life so that if all the things you said and did were being written down, you wouldn’t have any problem with someone going back and reading it. Do you think that would drastically change your speech? Ephesians 4:25 tells us that we shouldn’t lie to each other, especially because we’re all in this world together, and we should work together for the good of the Kingdom, not against each other. Colossians 3:9 tells us not to lie to each other because when we became Christians, we put that lifestyle behind us. Its also not enough just to tell the truth, we must be truthful in our actions as well. Our actions must match our language. Otherwise, we lack the integrity to back up the truth we speak. Nothing can be more powerful than when the world hears a Word of truth lived out in our lives. The words you speak are amplified by the life you live. Ultimately, we walk in truth if we walk in the path of God. Every time God spoke it was truth. Everything Jesus said and did, it was truth. If we are made in his image, and we are to strive to live like Jesus, shouldn’t we do the same?